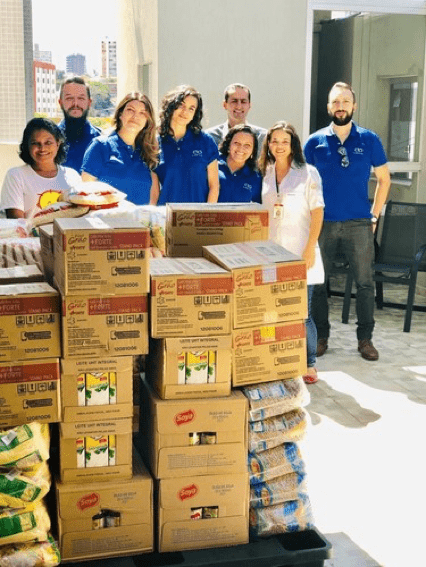 In the true meaning of the Christmas spirit, our staff at our LAM headquarters in Belo Horizonte have been working on supplying food for the local organisation Aura. On Monday they visted the AURA centre where they presented the food donation. 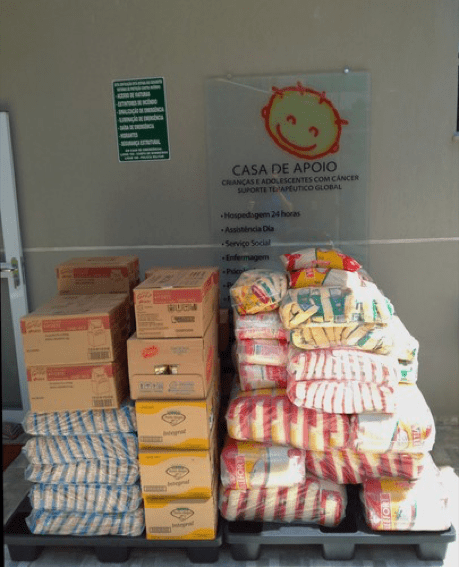 Aura was set up in 1998 and since 2000 has been supplying support and housing for low income families that need to bring their kids from the country side to Belo Horizonte to treat cancer. Most of the families treated there cannot pay a hotel of any kind, and if it wasn’t for Aura, these kids would suffer or even die in their hometowns without treatment. While under Aura’s care, they receive housing, food, and psychological care. The kids are educated and also receive transportation from/to hospitals and clinics.